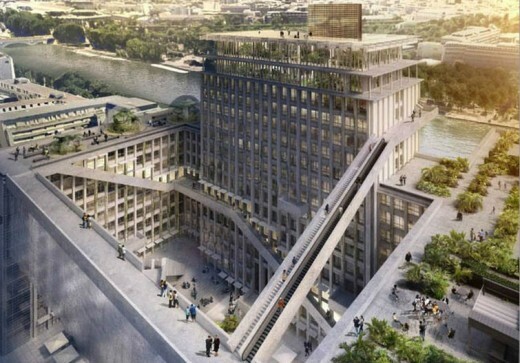 03.02.2016 – Following a three-phase competitive process, David Chipperfield Architects Berlin, together with Paris-based developer Emerige, has won the Call for Projects to redevelop the ‘Boulevard Morland’ site in the 4th arrondissement of Paris. 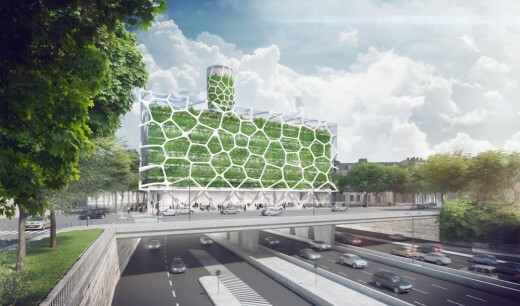 The process is part of the wider city-led urban regeneration initiative – ‘Reinventer Paris’ – calling for innovative projects to redevelop 23 sites across the city. 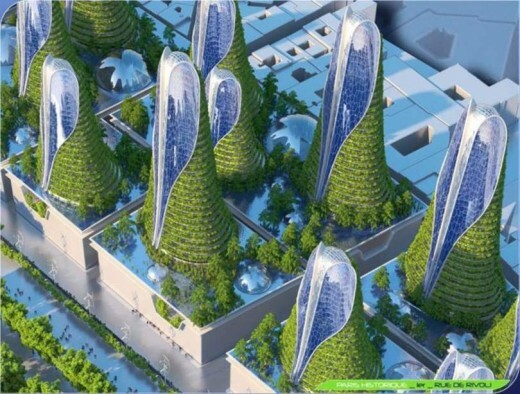 The winning scheme for the Boulevard Morland site both extends and opens up the existing structure which was originally built from 1957 to 1964 as a city administration building. 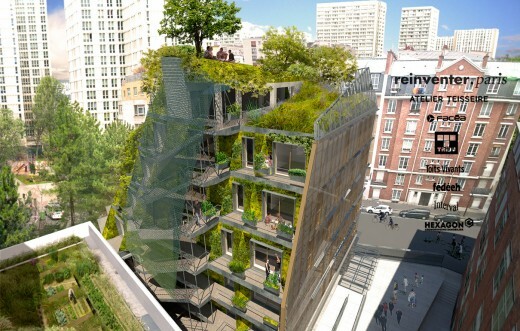 The two top floors will integrate an inhabitable artistic installation designed by Studio Other Spaces that will house a bar and restaurant. 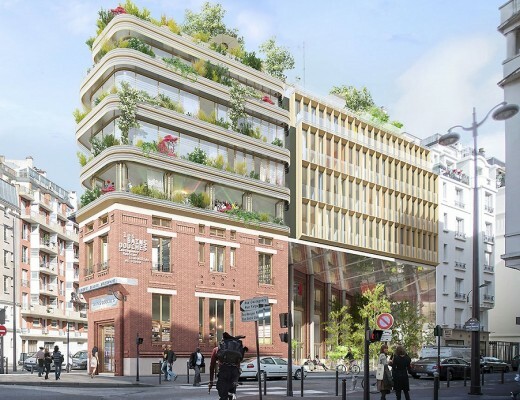 The redeveloped complex will contain a mixed-use programme including housing, a youth hostel, hotel facilities, offices, retail outlets and a food market, establishing a new social and public landmark for the people of Paris. 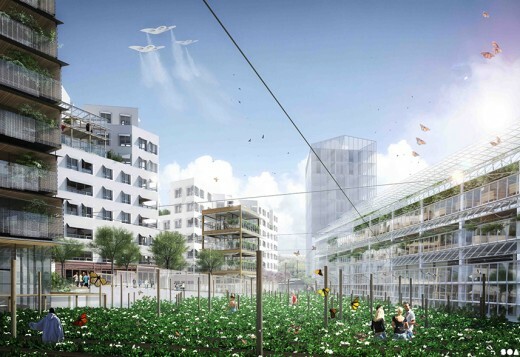 David Chipperfield and Sou Fujimoto have been named among the high-profile winners of a series of linked design competitions aimed at reinvigorating sites across Paris, reports the Architects’ Journal. 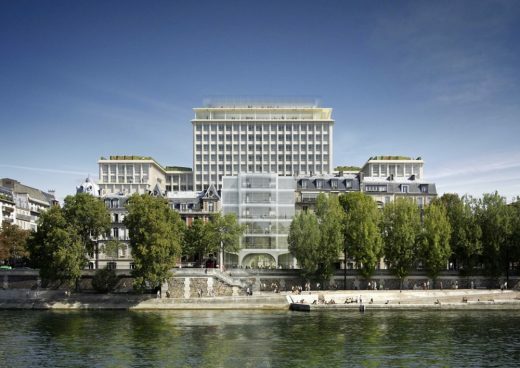 David Chipperfield’s proposals for the Immeuble Morland office building will see the structure, which backs onto the River Seine, extended and opened up to provide new housing, a youth hostel, hotel facilities, offices, retail outlets and a food market. 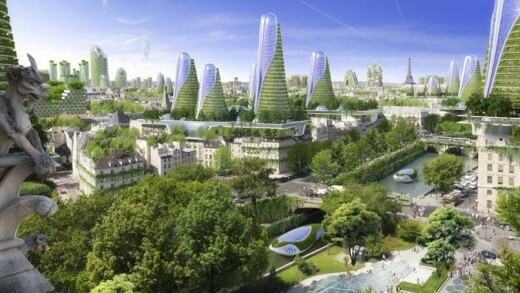 The scheme to revamp the building, which was built between 1957 and 1964, is one of a swathe of projects forming part of city mayor Anne Hidaglo’s ‘Reinventer Paris’ urban regeneration initiative. 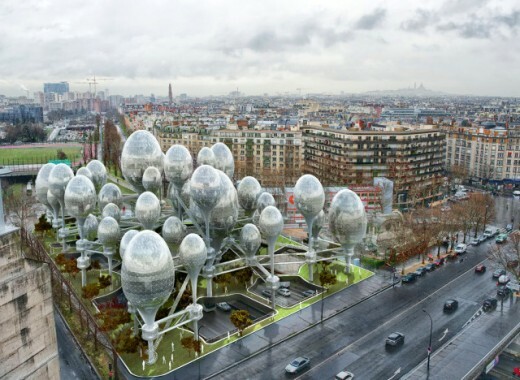 Among the winning schemes announced this week is Sou Fujimoto Architects’ Milles Arbres design for a 6,450m2 plot in the 17th Arrondissement. 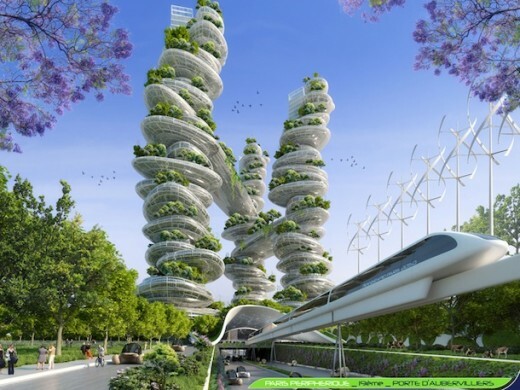 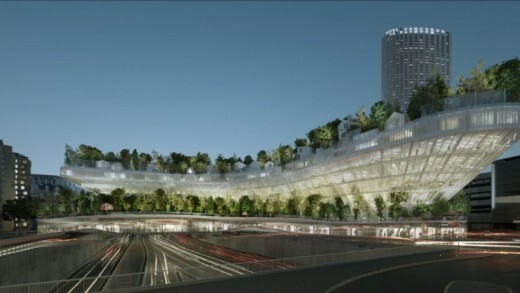 Sou Fujimoto created a tree-covered structure that will span Paris’ Périphérique ring road and which aims to link the city’s central business district with La Défense.